Play on one of your Friends. 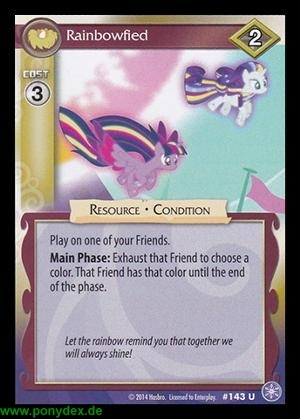 Main Phase: Exhaust that Friend to choose a color. That Friend has that color until the end of the phase. Let the rainbow remind you that together we will always shine!